CNC, part of CMA CGM Group, provides refrigerated containers which are pre-trip inspected before loading, continuously monitored during the sea journey with professional customer service before, during and after transportation. CNC is expanding. Services, port coverage and fleet size are continually increasing to meet growing market demand. CNC understands the flexibility required to operate in the intra-Asia market. CNC provide frequent Intra Asia liner services up to the East coast of India. CNC is independently managed and operated from Taipei with an extensive agency network throughout Asia. Currently offering over 40 services and expanding its network each year CNC, is a progressive, ambitious and reliable Intra Asia carrier. With strong market conditions, CNC is constantly looking for new opportunities to expand its operation! With an organization totally dedicated to reefers and a network of experts around the world in over 70 countries, CMA CGM group is a global player in refrigerated transport. As part of a proactive policy, the CMA CGM group is committed to developing solutions which combine quality and innovation with protecting the environment. We share, with the CMA CGM group, a strong expertise in transporting XXL cargoes such as vehicles, yachts, heavy machinery, large engines or turbines. Discover our tailor-made solutions to handle your oversized containers with reliable services. Be informed in real time of the status of your shipment. Enter a container number, a B/L reference, or a booking ID and track your cargo anywhere in the world. Enter your area of departure and destination and discover and choose your best solution among 200 line services offered by CMA CGM and its brands. 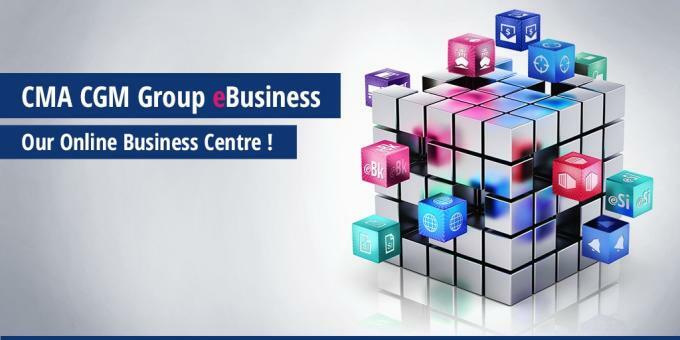 We offer you a complete range of e-business solutions to optimize the management of your shipments on line 24/7.